This is the first "comedy" book I've read and for some reason I thought it was a novel when I first started reading it. My friend lent me the ebook for my iPad, so once again I started a book without checking out the synopsis online. 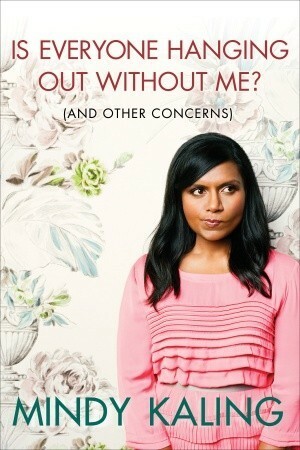 However, I really did love this book, even though I had never heard of Mindy Kaling before. The Office is a show that I know people love, but I've never really taken to. I think I need to give it a shot after reading this book! Mindy Kaling is like the Indian best-friend you never knew you had. She is not embarrassed to tell you exactly what her childhood is like, and doesn't sugar-coat her trials. I really liked how the book was divided into chapters and sections based on topics from her life. The book also has pictures (shock!) that help you to really get what she is saying. I think it was her overall down-to-earth writing that made it feel like you weren't reading a book, but rather at a Starbucks listening to a (funny) friend tell you stories. Thumbs Up, Mindy Kaling, Thumbs Up. 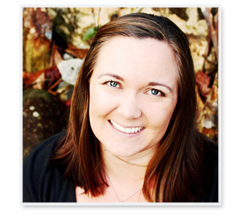 This week, I'm Linking Up with Heather from Blonde... Undercover Blonde for her Book Club Friday! Thanks to Emmy for recommending the Link Up. She also reviewed a book today & posted a really interesting review of it here. The book is called Under the Banner of Heaven, and it's moving up on my 'to-read' list on Goodreads.